Authorities have arrested a man after he repeatedly crashed a truck into a building of a Dallas TV station. The incident happened on Wednesday morning and reports say the man did it because he was upset about the police shooting of a friend six years ago. 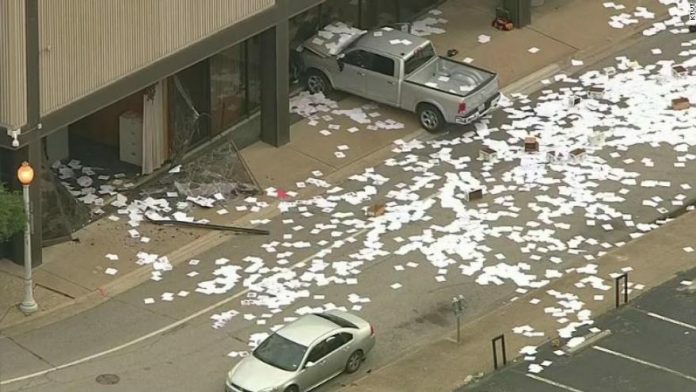 KDFW-TV reports that the man crashed the truck into the building and then left the vehicle to yell and throw out papers into the air. The man was holding notes, pictures and a news article against one of the windows. Police arrived and arrested the man, who destroyed the windows of the building with the vehicle. 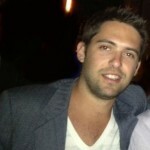 Brandon Todd, a reporter for that station, said the man kept yelling high treason. He explained that the man clearly believed that he had been wronged and that he was trying to get some attention. Police later identified the man as Michael Chadwick Fry. He was not taken to jail right away, police instead took him to a hospital for medical evaluation. He was then taken to Dallas County Jail. Police say he was taken there with charges of felony criminal mischief. A police official said the man had mental issues and that he was trying to bring attention about the shooting in 2012. In that year, a Denton County police officer opened fire on a car that Mr. Fry was in. The driver of the car, Roberto Hernandez, tried to crash into the police car. The driver was struck and killed and Mr. Fry did not suffer any injuries. Reports say he jumped into the back seat when it was all happening. A video captured by the station showed the man taking papers from a bag and boxes that he brought on the back of the truck. The man also placed several documents near one of the doors of the building. One of those papers was a news article about the shooting in 2012. The news article had mugshots of the driver and him. The reporter at the station thinks he was not going after anyone. The station broadcast its morning show without any problems. The news anchors later said they were unaware that it happened because they didn’t hear it. Those who were in other parts of the building did hear what was going on and fled the building. One reporter said she grabbed a few things and left the building.